None of the Same Sweet Girls are really girls anymore, and none of them have actually ever been that sweet. But the story of this spirited group of six southern women, who have been holding biannual reunions ever since they were together in college, is nothing short of compelling. 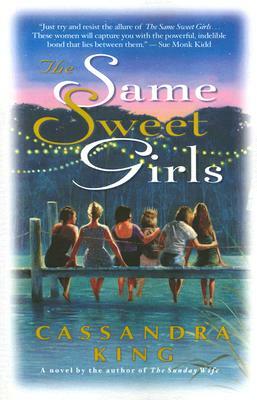 On an island every summer and in the mountains every fall, the Same Sweet Girls come together to share their stories. When one of the group faces the most difficult challenge of her life, the novel builds to an almost unbearably powerful conclusion, one of the most memorable in current fiction. Without a touch of sentimentality, Cassandra King writes of the way close friends can help each other through even the most cataclysmic life events. Both heartbreaking and hilarious, The Same Sweet Girls will touch, move, and inspire readers to cherish their own lifelong friendships. Perfect for reading groups, The Same Sweet Girls is a story of friendship that readers will want to share with their special girlfriends.